If there’s every a country to buy some new hiking boots for, it’s New Zealand. One of the best ways to experience it’s incredible landscapes is to tie up your hiking boots and hit the trails. There’s a mix of short walks, day hikes, overnight missions and full-on multi-day hikes to choose from. Choosing a pair of really good hiking boots for your trip to New Zealand is pretty essential. To ease the decision fatigue, here’s our picks of the best hiking boots for New Zealand. Hiking boots can make or break a hiking experience. Boots that are uncomfortable, cause blisters or keep your feet wet are going to sap on the enjoyment. 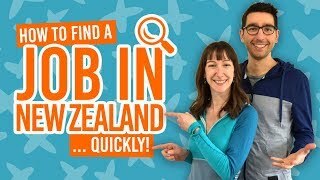 Be sure to try boots on properly following the tips in 10 Tips for Picking the Perfect Hiking Boots for New Zealand. This list of best hiking boots covers a variety of hiking styles and scenarios you’re bound to run into on a trip to New Zealand. 10 Tips for choosing the right hiking boots. Choose either low, mid or high-rise ankle support based off of the type of hiking you will be doing. Low to mid is good for day hikes, while mid to high-rise is essential for ankle support when carrying heavier weights (i.e. your backpack) on multi-day hikes. Try hiking boots on at the end of the day when your feet are at their most swollen. Make sure there is enough space at the front of your hiking boot so that your toes are not squished when going downhill. Your feet should not slip inside the boot – if they do your feet are more subject to blisters. Most hiking trails in New Zealand are well maintained with gravel. Shallow tread works well for rocky terrain and gravel, however, be careful on wet boardwalks and wooden steps with shallow treat boots. There are pros and cons to different materials: leather material is super durable and waterproof, while synthetic material ensures breathability and flexibility. Choose a synthetic material with effective waterproofing like Gore-Tex. Speaking of waterproofing, this is an absolute essential in New Zealand where it rains year-round. Added extras worth looking our for are toe guards, which is ideal for rough terrain. Look after your boots. Don’t quick dry them and brush off debris often. Your boots are likely to need re-waterproofing or nourishing if they are leather. Get a waterproofing kit like this Nikwax kit, to keep your boots maintained. For more tips on picking the right fit, check out How to Choose a Good Pair of Hiking Boots. Coming in both a men’s and women’s version, the Solomon Quest series is a comfortable mid-cut hiking boot for both multi-day hiking and day trips. 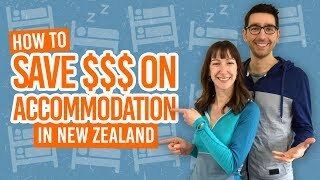 It has a mix of running shoes and hiking boots features, meaning you could get away with wearing them for your entire trip in New Zealand with no issue. Made with Gore-Tex waterproofing, the boots are seriously effective at keeping you feet dry. However, like most hiking boots, excessive wear and exposure to water does decrease the effectiveness of the waterproofing over time, so be sure to look after them well and re-waterproof when necessary. The outer sole has effective gripping in most situations. However, they are less effective on wet wood like steps and boardwalks found on many New Zealand trails so be aware. Nevertheless, the Salomon Quest hiking boots is a well-rounded and versatile boot with only a few minor issues. Timberland has been a safe go-to for decades when it comes to finding a good-quality waterproof hiking boot. The leather and textile fabric mixed with a waterproof membrane means long-lasting waterproofing. The downside is that the hiking boot is less breathable than boots with synthetic material. Nevertheless, Timberland has a way of making hiking boots look stylish, especially with these Mt Maddsen designs that you can get away with for both city and backcountry travel. Compared to other hiking boots on this list, these Timberland Mt Maddsen hiking boots come a much more affordable price without sacrificing quality. Be aware though, the women’s version of the boot comes in a rather narrow shape so it may not be suitable for some body shapes. Choose these boots if you are doing a mix of day hikes, overnight hikes and/or 3-day hikes in New Zealand due to the fact that they may not give enough support for heavy backpacks. For the ultimate study boot for long multi-day adventures, definitely consider the Asolo TPS hiking boots. These mid-to-high rise boots provide sufficient support around the ankles when carrying heavy packs. The full grain leather is hugely effective for waterproofing, although at the sacrifice of less breathability. On the other hand, the Asolo boots are often praised on their comfort around the ankles for a wide range of body shapes. Plus, the shock-absorber technology reinforces the comfort as long-distance multi-day hiking boot. As mentioned, the Asolo TPS boots make a great multi-day hiking boot. However, it’s likely that you’ll want something more “toned-down” for short walks and casual use. A fantastic multi-use hiking boot option, the Lowa Renegade is light and comfortable for both day hikes and shorter multi-day hikes. The Gore-Tex hiking boot is both breathable yet effectively waterproof. The boot is definitely worth considering for summer trips to New Zealand with this mix of breathability, waterproofing and “climate control” footbed allowing air to circulate and keep your feet cool. If the style of your boot is important to you, then Lowa is here to serve with the boot coming in around 20 different colours! Overtime, the waterproofing may wear off through excessive use, so be aware that the boot may need “re-waterproofing”. Another fantastic versatile boot, the Keen Targhee, which is the same name for both men’s and women’s, is super waterproof with nubuck leather and waterproof membrane. It’s a good option for those not too “keen” on having ankle support too high up the ankle, yet gives just enough ankle support for those multi-day trips. It’s possible to find a boot for different body shapes too, with the model coming in wide-fit too. The rubber toe guards and tread on the outer soles makes these hiking boots great for a huge variety of terrains. Whether you’re doing a day hike, overnight hike or even out the backcountry for a few days, these Keen hiking boots will be a reliable companion. The Scarpa Zodiac Plus sits on the edge between a hiking boot and mountaineering boot. The result is an ultra-sturdy boot perfect for multi-day hikes in New Zealand. The lacing running from toe to ankle provides precision fitting combined with cushioning in all the right places makes the Scarpa surprisingly comfortable for a more rigid-looking boot. The light weight and solid ankle protection makes this the ideal boot for carrying heavier backpacks for multi-day trails of around 3 to 4 days. Plus, the waterproofing membrane and all the fixings will keep your feet dry. the Scarpa Zodiac comes in designs for both men and women. Check the latest prices on Amazon.